Lifehouse is scheduled to perform in concert at Universal Studios Florida Mardi Gras in Orlando on Saturday, February 9th, 2013. 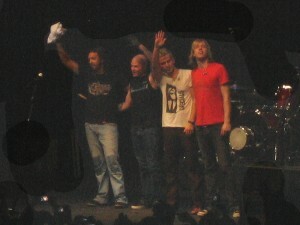 Lifehouse’s hits include Hanging By a Moment, You and Me, First Time, and Whatever It Takes. This entry was posted in Concert and tagged February, Mardi Gras, Rock, Universal on January 9, 2013 by Orlando Concert Guide Staff.